I believe this to be a portrait of my great grandmother, Elizabeth Bruce Reiach, born in Wick on 22 September 1864. 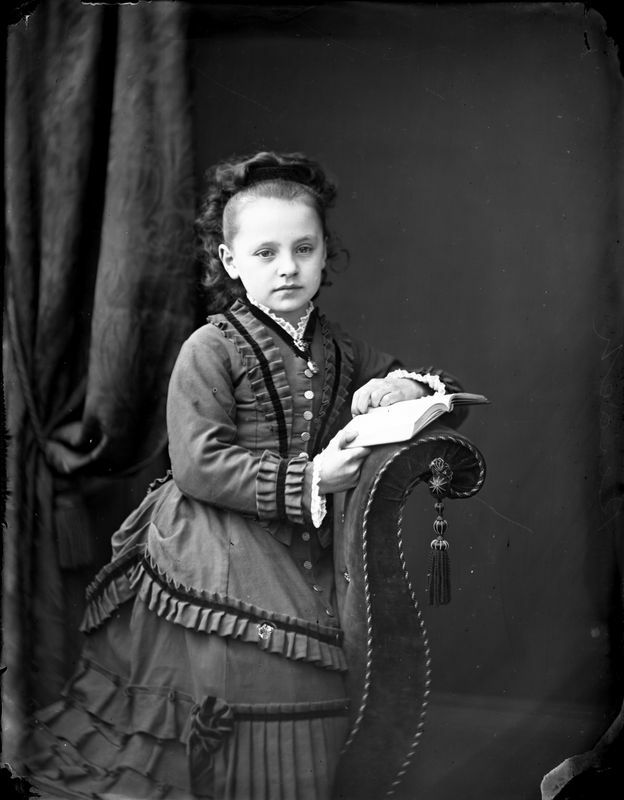 Her father was James Reiach of Wick (1826-1899), draper and later Provost of Wick, and her mother was Margaret Telfer Corner (1835-1866), born in Bathgate. Her father and mother were second cousins. In this photograph she is 10 years old.